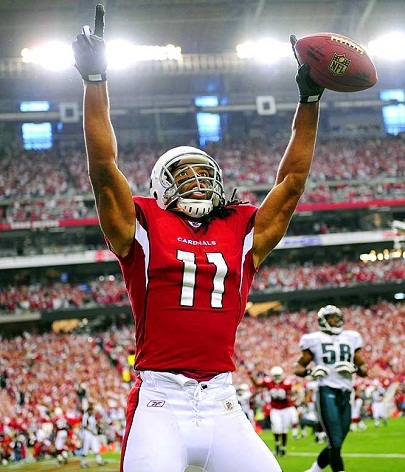 Drafted in 2004, Larry Fitzgerald has quickly established himself as one of the best receivers in the NFL. In fact, according to his contract extension which he signed in 2011 which made him the highest paid receiver at the time the Arizona Cardinals are convinced that he is in fact the best receiver in the league. While it may be hard to determine which receiver is the best at any given time there are not many people familiar with the NFL that would not at least include Larry Fitzgerald in the discussion. At this time the only receiver that is getting paid more than Larry Fitzgerald in Calvin Johnson of the Detroit Lions. 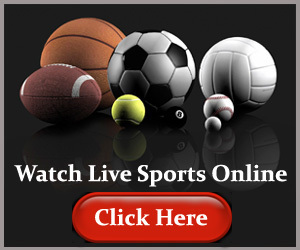 As a product of the University of Pittsburgh Larry Fitzgerald did no hail from one of the big schools known for producing elite NFL talent but he still managed to draw enough attention while in school to garner significant interest in the 2004 NFL draft. After his Sophomore season with Pittsburgh Larry Fitzgerald was recognized as the best player in college football with the 2003 Walter Camp Award. Also as a unanimous All-American selection in 2003 Larry Fitzgerald was considered to be a frontrunner for the Heisman but he eventually lost out to Jason White by only a few votes. In his two years with the Pittsburgh Panthers Larry Fitzgerald played in only 26 games but was still able to catch 161 passes for 2,677 yards and 34 receiving touchdowns, the later of which was a new school record. This incredible production in just two short years is what made him such an enticing prospect to NFL scouts. At 6 feet 3 inches Larry Fitzgerald was able to rely on his sheer physical ability to dominate defensive backs in the college though his hand-eye coordination, work ethic and intelligence made him the complete package. As the 2004 NFL draft rolled around Larry Fitzgerald was considered to be one of the top prospects available and many wondered if he would be selected first overall by the San Diego Chargers. Ultimately, Fitzgerald was picked by the Arizona Cardinals with the third pick in the draft after the Charges elected Eli Manning with the first pick and offensive tackle Robert Gallery was selected by the Oakland Raiders. One of the things that makes Larry Fitzgerald’s career to this point so impressive is that he has produced impressive numbers season after season despite the fact that he has often suffered from sub-par or inconsistent quarterback play for much of his career. The best quarterback that Larry has had the opportunity to play with is undoubtedly Kurt Warner but by the time the two connected in Arizona Kurt was starting to feel the effects of age and he proved to be as injury prone as ever. Many of the best wide receivers in the NFL have benefited greatly from having a great quarterback throw the, the ball but Larry Fitzgerald can make no such claim. He was never able to play with a Peyton Manning or a Steve Young and the constant quarterback carousel has seem to become a way of life in Arizona. Another reason that Larry Fitzgerald is arguably the best receiver in the game right now, and one of the best to ever play the game, is his ability to play through injuries. From 2004 to 2011, which is 8 NFL seasons, Larry missed only four games due to injury. The Arizona Cardinals may not have been able to depend on much over the last 8 years but one thing that they could count on is the fact that one of the best receivers in the league would be there to take the field for them every Sunday. Over the past 8 years Larry Fitzgerald has earned a reputation for executing one particular play to perfection almost every time it is needed and that is the jump ball. Larry has mastered the ball of using his size and strength to out jump and out muscle defenders when the ball is in the air. When Larry is on the field the Arizona quarterback can almost close his eyes and throw the ball up and know that Larry will come down with it. Fans around the league attribute this ability to the necessity of Larry to catch bad passes in order for his team to have a chance to win.